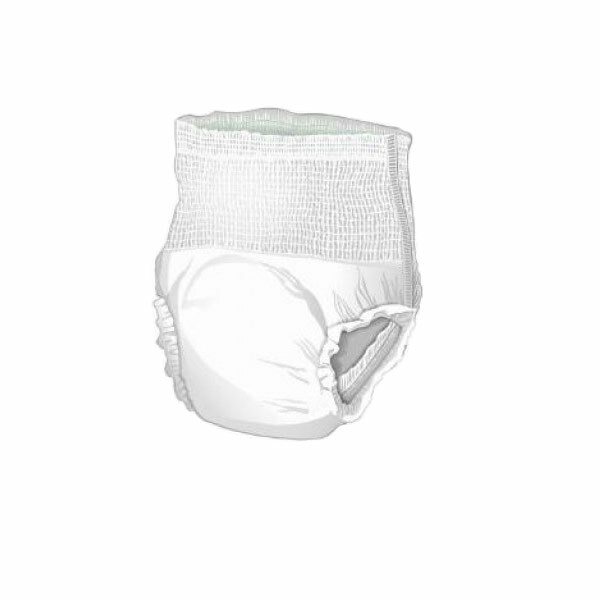 Designed to help those with incontinence, XL protective extra-absorbent disposable underwear is latex free and fits waists ranging from 58 to 68 inches. These easily pull on and off like regular underwear and the comfort stretch waist makes for a perfect, comfortable fit. Soft, cloth-like breathable material provides discreet comfort and promotes drier, healthier skin. Inner leg cuffs provide added leak protection, and a premium acquisition layer rapidly absorbs fluid into that core. Advanced dual-core performance locks wetness away and reduces pH of urine for improved odor control and skin wellness. Unisex design for men or women.